Probably one of the biggest tasks when cutting down a tree stump removal. Sometimes owners opt to keep the stump as a garden feature. Some trees once cut down do not grow again while in other instances they grow new shoots that eventually grow into new randomly positioned and poorly shaped trees. 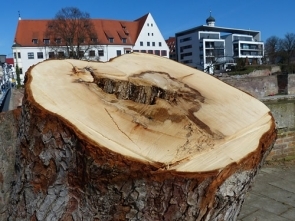 If clients don’t want a tree to grow again the stump has to be poisoned. The complete stump removal process is difficult and painstaking that requires lots of manual labour. Exposed roots are chopped out as far as possible and finally the stump can be removed. It is usually not possible to remove all roots as they grow in many directions for many metres. 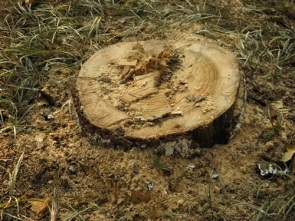 However, once the stump and main roots are removed the roots eventually die. In some cases with very large stumps and where space permits a TLB is used to remove the stump.